Wasps Rugby Discussion Forum Launched!  Once a Wasp has now launched an online discussion forum for Wasps Rugby Discussion and all things to do with Wasps Rugby. It’s a pretty standard discussion forum with Tapatalk installed for mobile users, and is not dependent on advertising revenue so you won’t turn up and find the site is down for no reason. It’s not limited to Wasps Rugby discussion however, you can talk about all things to do with the rugby world, or even off topic chat if it takes your fancy. If necessary additional forums can and will be added to make space for more subjects, and keep things simple to find. Did you watch the match against Bath? Were you at the Rec? Or watching it on BT Sport? Do you think we’re going to make it out of the so called group of death in the European Champions Cup? Is this our best chance of silverware for many a year? Find out if people agree with you and be prepared to argue your corner in the new, free, Wasps Rugby Discussion forums. We’ve already had a number of registrations, and the first post went up before I’d had chance to post up my first topic – As you can imagine it isn’t the most eloquent of posts, but hopefully that isn’t a sign of things to come.